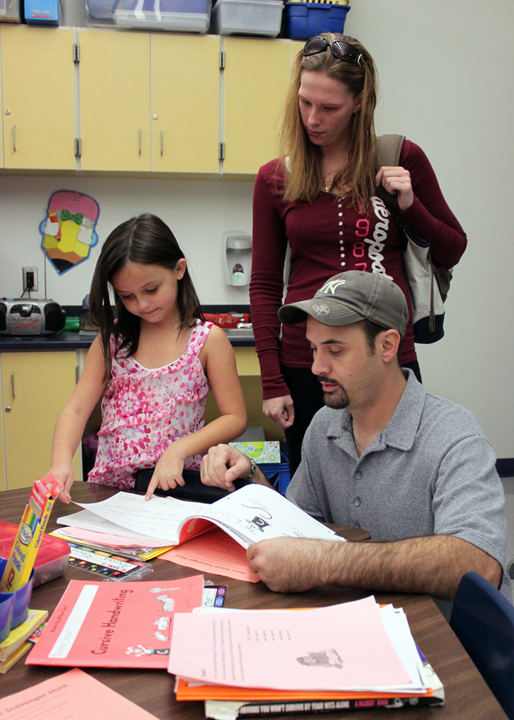 John Stone, kneeling, and Kristin Backus, standing, look over daughter Alyssa Stone’s work during curriculum night at Altmar-Parish-Williamstown Elementary School. The event allowed parents and their children to meet with teachers, look over schoolwork and tour the newly renovated facility. Elementary school students in the Altmar-Parish-Williamstown School District held their first open house curriculum night at the recently reconfigured and remodeled APW Elementary School. The event drew a large crowd to the school which brought all APW students to a single campus, two-building location. The curriculum night allowed students to show their family their new building, classrooms, playground, and attend a book fair which was held in the cafeteria. The Cobb family, Josh and Dana along with daughter Makayla, a second grader in Mrs. Ruffos’ class at Altmar-Parish-Williamstown Elementary School enjoyed the recent APW Elementary Curriculum Night. 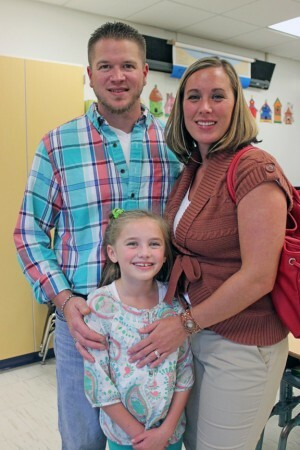 The family toured the school, met with Makayla’s teacher and stopped in at the Book Fair in the cafeteria.